World footballer of the year Lionel Messi has taken some time off to holiday in Ibiza Spain. 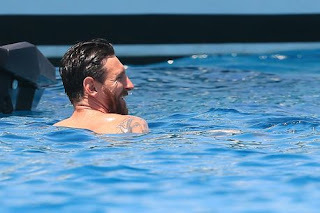 His vacation comes after he captained Argentina to a defeat in the finals of the Copa America. 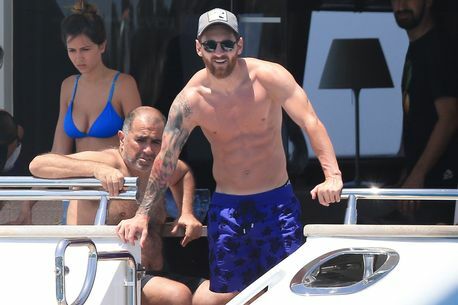 Barcelona football star Lionel Messi 29, looked relaxed as he sipped a drink on a yacht in Formentara where he is taking a break. 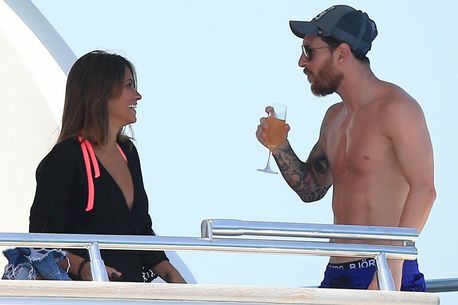 His wife Antonella Roccuzzo and his family were with him to enjoy the thrills and fun of holiday in Ibiza. He was all smiles as he took a dip in the sea ahead of returning to his club Barcelona following the international Copa America final heartbreak. It was his third consecutive final defeat and fourth in all with Argentina. Messi announced his international retirement following the match. "This is it. This is my decision. I fought hard. I did everything I could to win. But the truth is this is it. It's already been four finals. I was already thinking about it. I did everything I could. It was not possible to win." Certain people close to the football star say they believe that he will change his mind and return to play for Argentina once again.